When Shelby Vanhoy (now Roebock!! 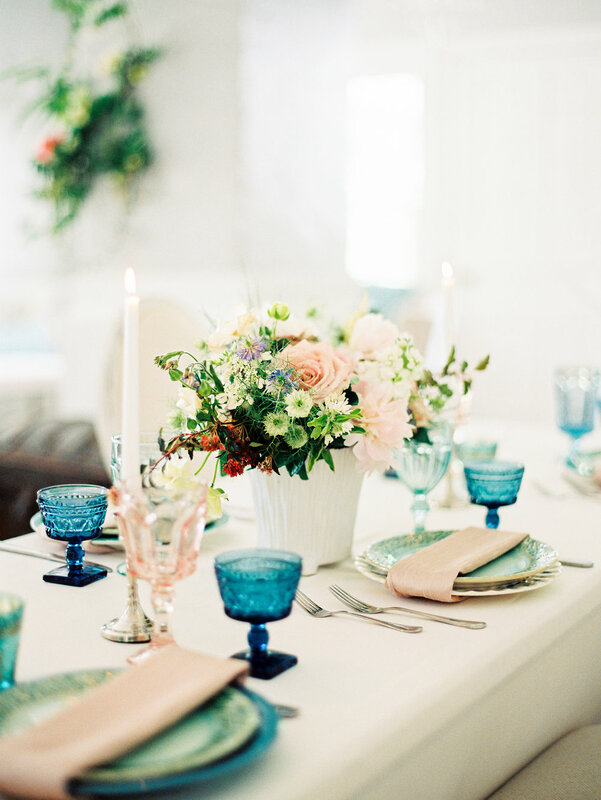 ), local style blogger extraordinaire at Pretty in the Pines, approached us about bringing to life her vision for an adventure and travel inspired bridal shower, we were immediately brimming with ideas. As you know, we're die-hard travelers and it's not often that we're able to incorporate our love of travel into our designs. To say we were pumped is an understatement! Raleigh is full of talented wedding professionals and we assembled an all-star team of vendors to help celebrate Shelby as she 'traveled from Miss to Mrs.' With the help of the Greenhouse Picker Sisters, we decked out the Mims House with vintage suitcases and globes and Bowerbird Flowers set the scene with knock-out floral arrangements. 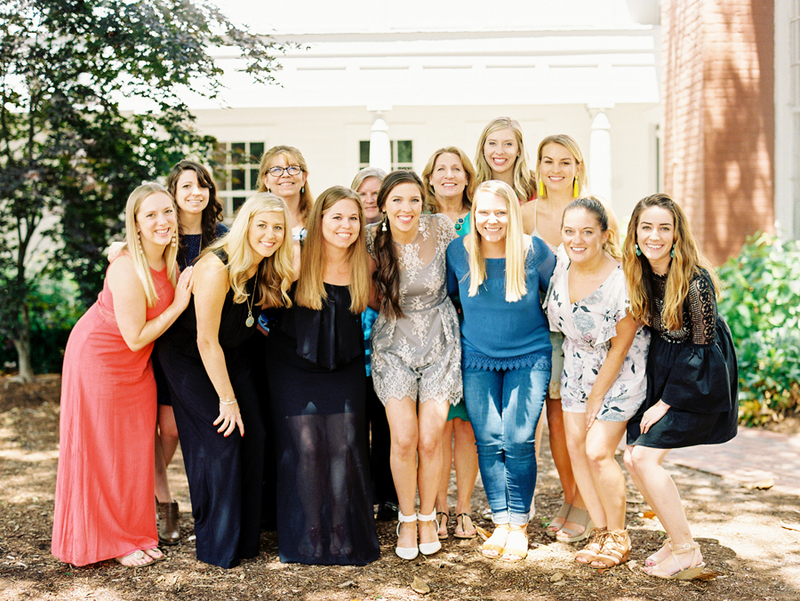 Belle's Catering created a globally-inspired buffet brunch for Shelby's guests and Olivia Suriano with Nancy Ray Photography captured all of the fun. See the full list of rockstar vendors below! 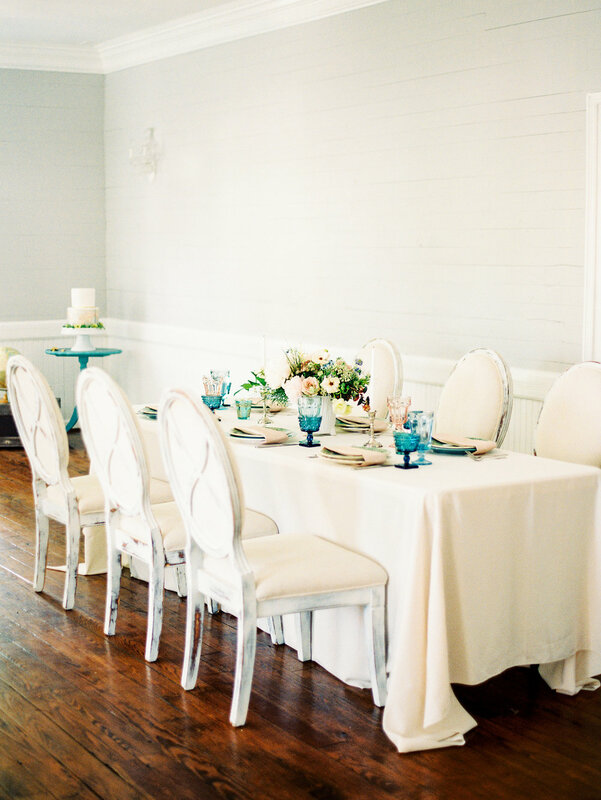 We're honored to share that yesterday, Style Me Pretty featured Shelby's shower! While we've had the opportunity to be on SMP once before on a regional page, we are especially delighted to have this labor of love featured front and center. Here's Shelby's take on the day from Style Me Pretty… ” I was blown away by each little thoughtful and creative detail for this shower starting with the watercolored map invitations from One and Only Paper. When I first opened up the invitation envelope, I was in awe of the large watercolor map of the world that read “Love is the Greatest Adventure”. I knew then that this shower was going to be one for the books. The space in the Mims House in Holly Springs, NC was the cutest blank slate to decorate with globes, vintage suitcases, books, old cameras, and other vintage furniture from Greenhouse Picker Sisters. Wild, organic, florals completed the look and brought a more earthy feel to the intimate white and gray space. One of my favorite parts of the party, as usual, was the global-inspired food setup featuring recipes from all over the world including a Mediterranean bar, Mexican appetizers, Southern cuisine, and Asian bites. There is never any shortage of creativity when it comes to Belle’s Catering and I had a hard time deciding between the Mini Taco Bowls, the Mini Pimento BLT Biscuits, the Ahi Tuna Bites, Shrimp Toast, Greek Flatbread, Mediterranean Cous Cous Cups, Mini Cuban Sliders, and the Chipotle Chicken Meatballs so I just filled my plate up with it all! 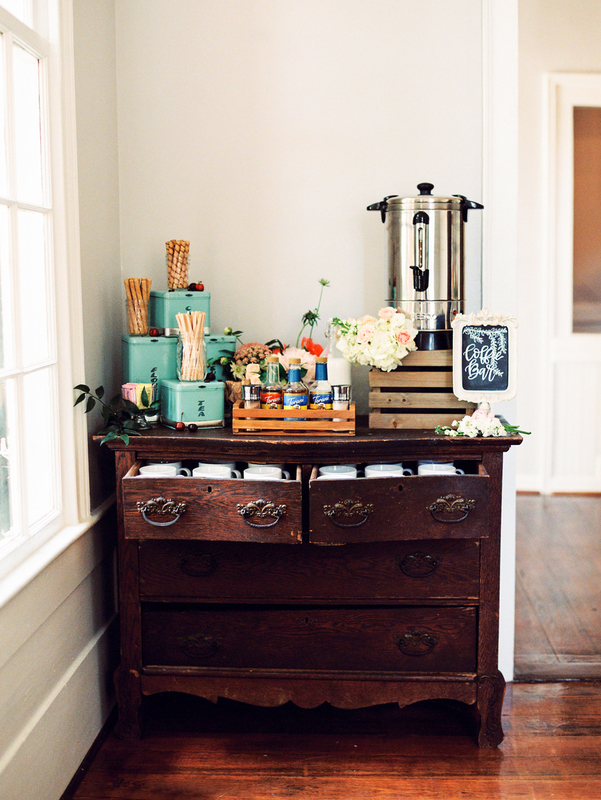 The shower was in the late morning/early afternoon so there was a coffee and mimosa bar setup when guests arrive and the “food room” was topped off with calligraphy chalkboard signs created by one of my sweet bridesmaids, Meredith, who owns Oaks and Gray Paper. Always thankful for a bridesmaid that also doubles as a wedding vendor! As we ate the almost-too-pretty-to-eat vintage map cake, we caught up with friends and family, played some funny bridal shower games, opened up gifts, and sipped on mimosas!